Character: Definitely a malt with a distinctive nose: take sweet raisins, "tilted", sour wine, flavored, slightly earthy apples and bake everything together with candied oranges and lemons and a lot of cinnamon to an English fruit cake. The taste is gentle, very sweet and without any special features. The body is flat and the finish is short to medium long. Rating: I like basically (also) sweet malts and with good design, I even grudgingly over sugar couleur away. 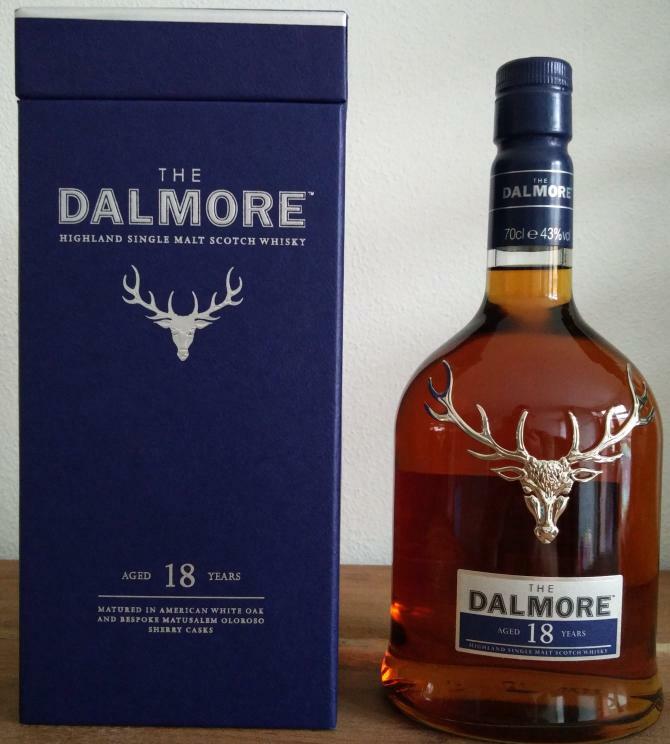 The Dalmore 18 will undoubtedly also have its followers. He does not win me though. The few flavors and the almost watery mouthfeel miss my expectations. A real moment of enjoyment has not stopped with me anyway. Not even with the sweet instant cappuccino-out-of-a-wood-cup finish. Description: Very sweetish-vinous sherry blows in the nose. The sweet raisins almost look like something artificial. There is immediately a slightly disturbing dull-sour spicy note. "Tilted", sour wine and flavored, slightly earthy apples meet English fruit cake - especially candied oranges and lemons. Add to that a decent portion of cinnamon. Definitely a completely independent profile that will have its followers. But it is not mine. Description: The onset is soft and sweet-liqueur. The taste is candied oranges and lemons. Then, after the first sip, it becomes slightly spicy for a moment. But really only at the first sip. Later, the wort is virtually gone. A bit of vanilla and dried figs are flashing and there is also a subtle floral touch: that's how I imagine sweet flower nectar. That was it already. With a surprisingly few flavors and a very weak body, the drops trickle down the throat. Only in the transition to the finish is the oak something to advantage. Description: The finish is short to medium long and very sweet. Oak, milk chocolate and coffee notes add up to a not really flattering overall picture. I feel reminded of sweet instant cappuccino. He did not like my nose so much, but it had interesting flavors in my taste. A little more alcohol would do him good. The price is for the offered but too high. Vanilla. Marmelade. Marzipane. Apricots. Raspberry juice. Raisins. With time, even more dried fruits. Figs. Medium long. Tobacco. Dried fruits. Some bitterness and soft spices. 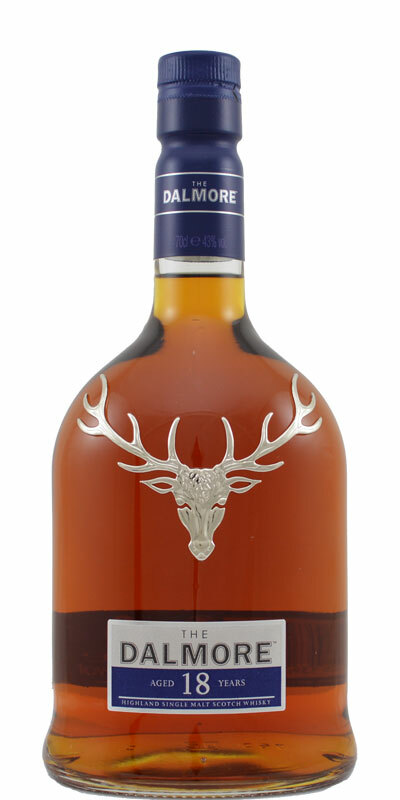 Pleasant, complex Dalmore, but on higher ABV would works well. Sweet and sour citruses, oak, marzipan, raisin, fig and date, spices, chocolate. Powerful start, creamy. Honey, caramel, orange, raisin, oak, tea and milk coffee. Medium length, creamy, fruity, sherried. A strange scent surrounds my olfactory bulb..red fruits, yes, but somehow fermented sour. A touch of cowshed. After a while comes Waldhonig, herb meadow. Everything looks perfumed. In the mouth then extremely mild, almost watery, light sweetness, a hint of multi-fruit jam puts on the tongue. Departure oily-sweet, now the alcohol burns quite easily, rather short pleasure. At the very end a slight bitterness. Great sherry standard in the 18s range, which does not seem too old and not too young, nice thing.